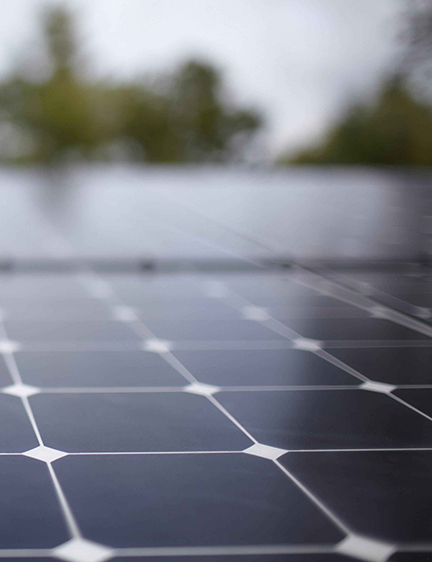 InClime has expertise in running a range of auction and solicitation types to determine market based pricing for renewable energy. InClime’s principals have designed and run hundreds of renewable energy auctions, ranging from “many to many” solar renewable energy credit (SREC) auctions with a market clearing price, “many to one” spot SREC auctions where bidders received price bid, “many to one” long-term contract auctions where bidders received price bid, and “many to one” long-term contract auction with winning bidders determined by random draw. The InClime online auction engine can be customized to any auction type and hosted on a custom website with user guides, documentation of auction rules, and online help and FAQs. In addition to the online auction engine, InClime provides live customer service through a toll-free number and email, conducts webinars and training sessions for potential customers, and uses social media and direct industry contacts to ensure that all eligible participants know about an upcoming auction or solicitation. -Bidders can download pre-filled contracts for signatures and upload signed contracts. -Bidders can upload any other required documentation or certifications. 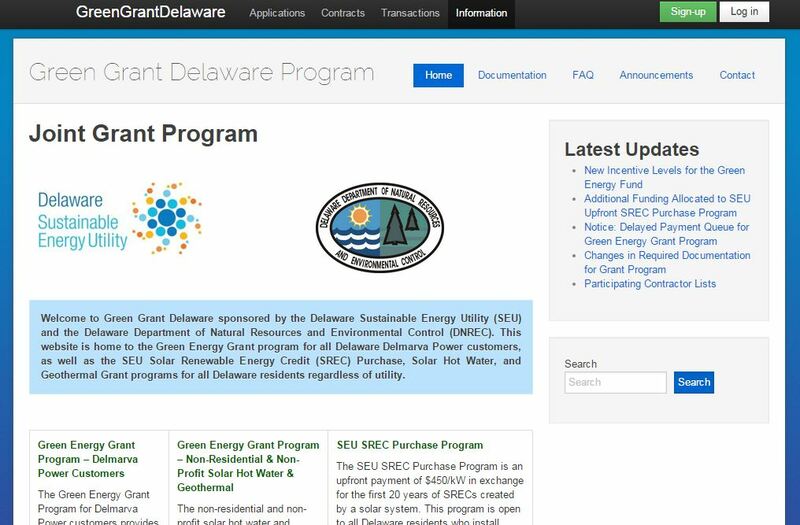 -Application Program Interfaces (API) to registries automatically enters monthly meter reading entries and tracks creation of renewable energy credits (RECs) or SRECs and moves RECS/SRECs from bidder to buyer accounts. -Bidders can enter and change bank account information for automatic ACH payments. 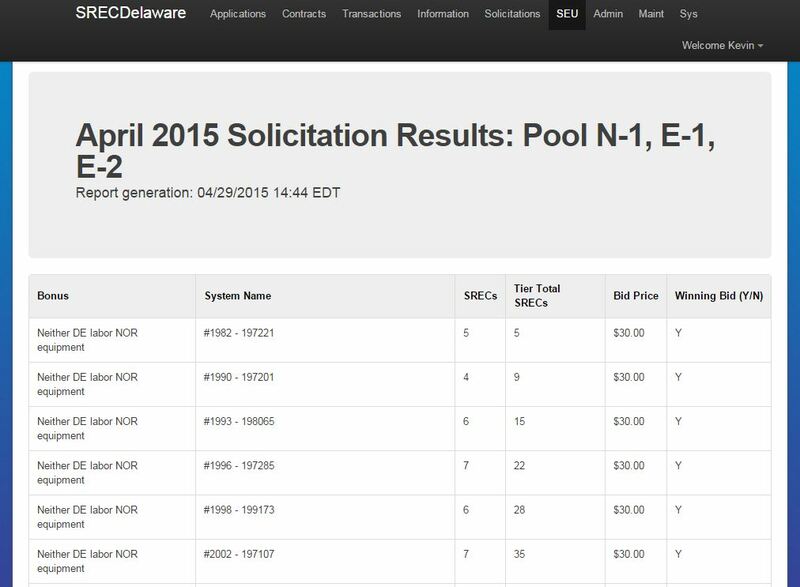 -Online dashboard allows bidders to track status of application, winning status, required documentation, meter reading, REC/SREC creation history, payment status, and payment history. -Secure central repository of all documentation. -Automated invoice generation and ACH payment to thousands of accounts. -Automated REC/SREC movement in registry accounts. RECs/SRECs can be tracked/reported by serial number and/or generating facility identification. -Automated alerting functions for systems that fail to meet any contract requirements or deadlines. -Extensive reporting facilities, can be customized to solicitation. In addition to the online portal, InClime provides extensive customer support by phone and email. InClime’s loan and grant software can be quickly customized to any renewable or energy efficiency loan or grant program. InClime will build a custom website which can host the entire program, and build out the portal to gather the specific information needed for your grant or loan program. The portal is capable of gathering any data fields required, can generate custom forms for customer signature based on data provided by the customer, and is able to accept uploads of any supporting documentation required. In addition, the portal can obtain credit reports and perform income verification if required. The portal has an extensive back-end where either InClime or client staff can review and accept or reject applications, as well as process payment disbursements via ACH direct deposit. InClime’s program staff provide significant expertise in program design and can run the entire program with only minimal oversight from client staff, including managing PR and customer education, providing customer service by phone and email, reviewing and approving applications, and processing payments.